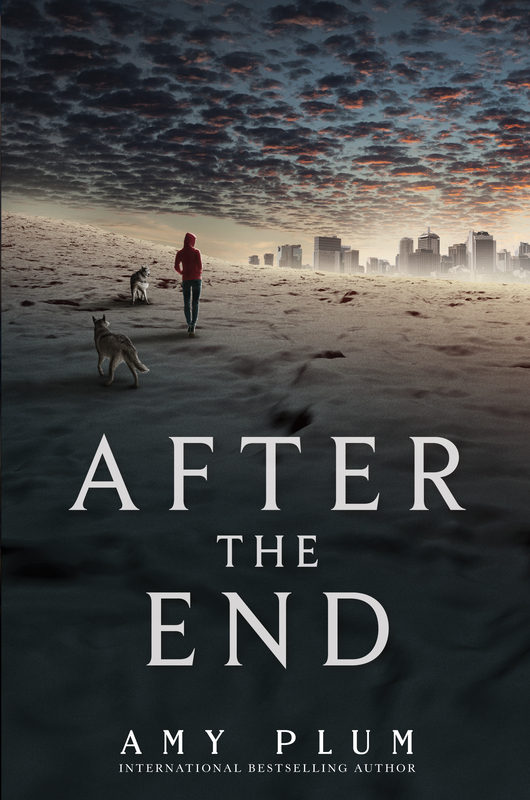 Amy Plum’s After the End duology is easily of one my favourite recent reads. The premise of someone discovering that they had been falsely raised to believe they lived in a post apocalyptic world was immediately intriguing and once I discovered it was from a dual perspective, I couldn’t scramble to open the book fast enough. Somewhere in the Alaskan wilderness, Juneau is living with a small band of survivors from the third world war that wiped out man kind. They have survived off the land for the past 30 years via creating a spiritual bond with nature, The Yara. The Yara is strong with the newest generation of the survivors, indicated by the starbursts in their eyes. Juneau has a particularly strong bond with the Yara and as such she is next in line to become the sage of her people. One day Juneau returns from a hunt to find her village in ruins and her people gone. She finds a message from her father amongst the ruins, telling her to run. She taps into the Yara for signs on how to find and rescue her people. In doing so, she breaches the boundaries of her land and discovers that there was no war. Civilization was intact. It was all a lie. Adrift in the modern world she never knew existed, Juneau’s paths cross with Miles. Miles, the troublesome son of a wealthy pharmaceutical CEO, needs his father to bail him out of trouble one last time and convince Yale not to reject his application. He discovers his father is desperately looking for a girl…with a starburst in her eyes. Miles conjures up a plan to find her to impress his father…but how does he find her in the middle of such a large place. Fortunately for Miles, The Yara tells Juneau that Miles is the person who will lead her to her lost people and it draws them to each other. They join forces and embark on a cross country trip, Miles thinking he will get to impress his father by delivering Juneau to him and Juneau thinking Miles will unite her with her people. The problem: He thinks she is crazy. She thinks he is a useless idiot. And then there’s the matter of armed men pursuing them. Ms Plum could not have imagined more believable characters than Juneau and Miles. Miles struggles to reconcile his modern skepticism with Juneau’s beliefs, in particular her abilities which include communicating with animals, videoconferencing via fire and talking to people polite society would otherwise steer clear off. Nowadays belief in the supernatural/spiritual power is often met with skepticism, let alone belief in supernatural/spiritual abilities. As such I found Miles reactions to Juneau quite understandable. I also appreciated that he did not hold back when trying to understand her, aloud. He directs words like ‘hippie’, ‘brain washing’ and ‘crazy’ toward her. Also understandable, not everyone is politically correct all the time. Miles is more or less correct. Juneau is crazy, crazy-smart, crazy-skilled and crazy-brave. Sure, the Yara pointed her to Miles but she was not about to trust him any time soon. Why would a boy suddenly agree to chauffeur her across the country, particularly when he thinks she is insane? So I appreciated that she was not a naive fanatic and expertly balanced her beliefs against her instincts. I adored both their narratives. The vastly different worlds they came from could not have been distinguished as expertly with a single-perspective. The perspectives were not just believable but persuasive because Miles and Juneau qualified their arguments for everything so well. Their banter was hilarious and a delight to read! The audio books, which I sampled for about half a dozen chapters, are narrated by Emily Rankin and Graham Hamilton and they do a fantastic job of bringing Miles’ and Juneau’s narratives to life. Hamilton in particular articulated Miles’ sense of humor and his reactions to Juneau quite well. I enjoy reading about developing relationships and particularly enjoyed the development of Miles and Juneau’s relationship. It progressed at a mostly pragmatic and believable rate and did not overpower the narrative. It is difficult to comment on the larger plot of Juneau’s missing people, why Mile’s dad needs Juneau and the reason behind the armed men following them, without spoilers. So I will only mention that it is novel, well-developed and engaging. Finally, the series is basically a wonderfully weird road-trip, something I abhor in real life but adore in my reading life. There was nothing to dislike about this series. If there was, I’m having a hard time recalling it so it must not have been so significant. The series neatly, if not easily, ties up by the end of the second and final instalment, Until the Beginning. I think Ms Plum could have easily made this a trilogy but I ultimately appreciated that she kept the level of complexity moderate. Often complex narratives are taken as a sign of a high quality read but personally it is tiresome and more often than not pretentious. 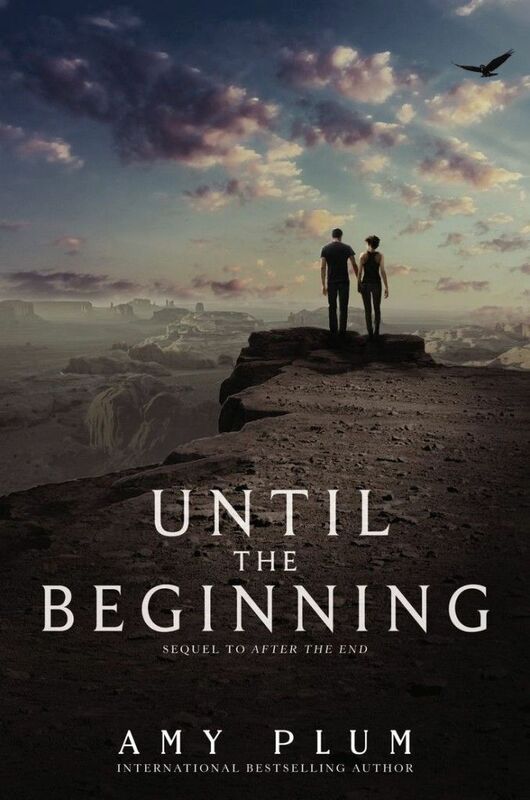 In summary, if you are looking for a break from dystopian/utopian fiction but do not want to stray too far, After the End and Until the Beginning will be a perfect fit. It was an addictive read, a combination of very well defined characters within a unique take on urban fantasy. Give it go and let us know what you think.